Reminants of fall color remain after southwest Washington received its first dusting of snow in the lower fork of the Lewis River. 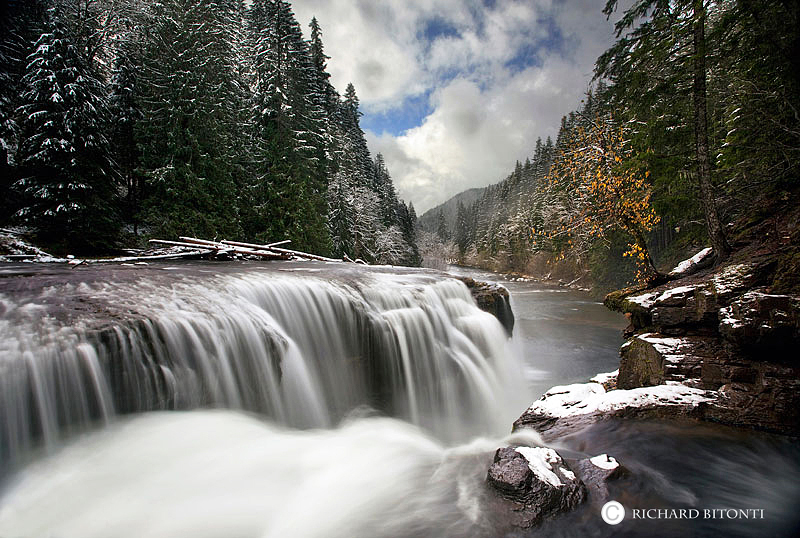 This spectacular waterfall, surrounded by dense old-growth forests, is the crown jewel of warerfalls in the state of Washington. Photo © copyright by Richard Bitonti.